Financial advisor to Grunt Style, LLC in securing Mezzanine capital from an affiliate of C3 Capital. Financial advisor to Lindt & Sprungli on its Acquisition of Ghiradelli Chocolate Co. from Hicks, Muse, Tate & Furst. Financial advisor to Sam Edelman in the Financing, and then Sale of Sam Edelman Shoes to Caleres, f/k/a Brown Shoe, Inc.
Financial advisor to Dell on series of Equity Derivative Transactions. Financial advisor to the Board of Directors of First Communications on the company’s Initial Public Offering on The London Stock Exchange. 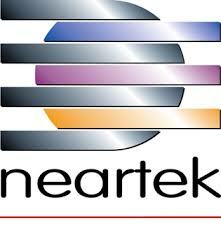 Financial advisor to Neartek on its Sale to EMC Corp.
Financial advisor to Christiania Spirits on its Sale to Sebastian Holdings. Financial advisor to Avaya on its Successful Public High Yield Bond Offering.